Jack Delano has ventured down to the locomotive servicing facilities to see what goes on there. 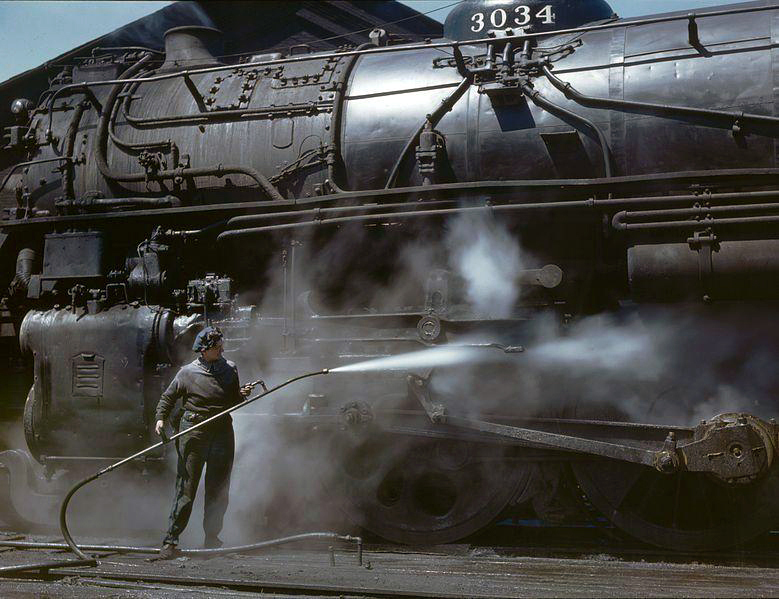 And here we see Viola Sievers washing down the running gear of C&NW steamer #3034 at the end of its run. Washing the locomotives was not only for the pride of the fleet, but also so that the machine could be properly inspected for problems and defect. With the war going, the manpower shortage created thousands of jobs for the women, and they stepped up to even the toughest and dirtiest jobs that had to be done.